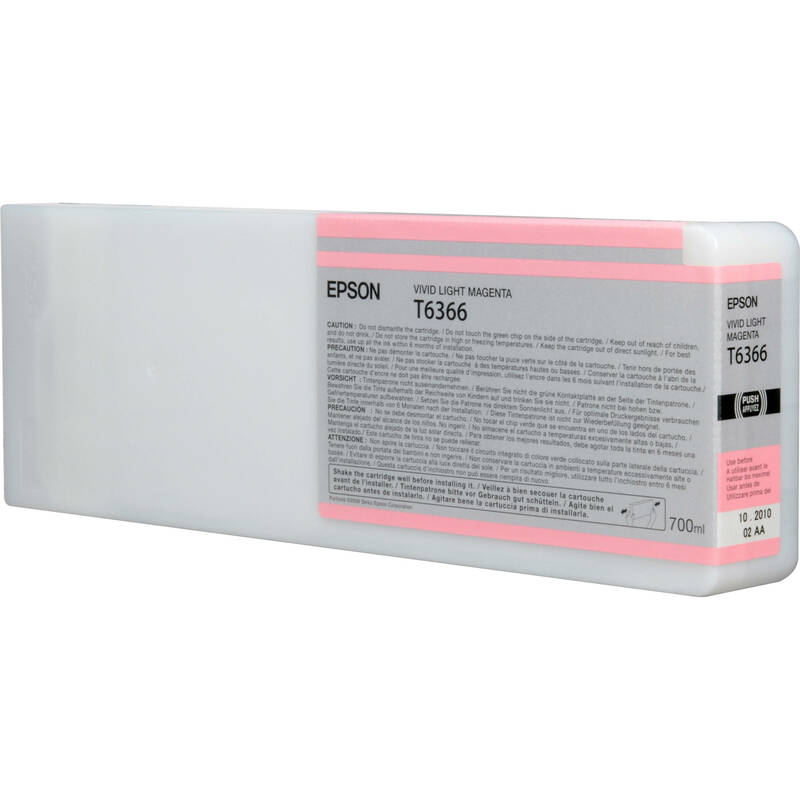 The 700 mL T636600 Vivid Light Magenta UltraChrome HDR Ink Cartridge from Epson is an ink cartridge designed specifically for use with Epson Stylus Pro 7890, 7900, 9890, & 9900 model printers. This ink represents the latest generation of pigment ink technology from Epson. Printers using this ink produce the widest color gamut ever offered by an Epson Stylus Pro printer. T636600 Vivid Light Magenta UltraChrome HDR Ink Cartridge (700 mL) is rated 4.7 out of 5 by 35. Rated 5 out of 5 by Anonymous from Beautiful ink! I use this ink in my Epson Stylus Pro 7890 and have no complaints. The ink easily pops in and out of the cartridge slot of the printer and the color always comes out beautiful and vivid, as the name describes. Great product! Rated 4 out of 5 by Brad from large size less changes What can I say it's ink, It prints, colors are consistant. Buing the 700mm size saves a little money per ML. Wish it was a bit cheaper but B&H prices are consistently the best. Rated 5 out of 5 by CPARK from Great product! Epson wins with these inks, they are worry-free, easy to install, and most effect color giving inks on the market! I highly recommend Epson inks on any Epson inkjet printers. Will this fit the 7700 Epson stylus printer?